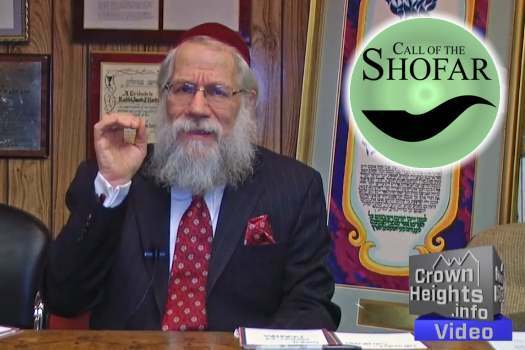 On Sunday evening thousands of listeners tuned in to a live broadcast with Rabbi Shea Hecht, which was organized by CrownHeights.info in order to bring clarity and closure amid the uproar over the infiltration of the Call of the Shofar ‘cult’ into our community. Rabbi Hecht lectured on the nature of mind control in general and COTS in particular, followed by a live question and answer session with the listeners. Rabbi Hecht began the lecture by explaining the difference between the conscious mind and the subconscious mind. He explained that cults have methods of taking control of one’s subconscious mind in a very subtle way. However, he explained, this control can be overcome due to the fact that the conscious mind is ultimately the more powerful of the two. He then went on to address COTS in particular. 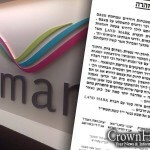 First, he debunked the claim that COTS is endorsed by prominent Rabbonim, specifying how he contacted each and every rabbi who is said to have endorsed it and found their ‘endorsements’ to be lacking. Then he proceeded to address the organization itself and its methods. 2. COTS is bad for you. “It is designed step-by-step to take away your free choice, and make you keep coming back for more at tremendous monetary cost,” he said. Of the 100+ people he met with, Rabbi Hecht said that a majority of them expressed support for what he is doing, and even volunteered to assist in his research to bring light to what they are doing. 3. COTS is Ossur al pi Halacha. Large swaths of the COTS program are derived from Buddhism, which is 100% Avodah Zarah. Whether this means that COTS itself is Avodah Zarah is a separate question to which he did not give a definitive answer. 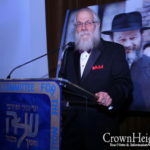 Rabbi Hecht reiterated that those who attended COTS should not be maligned in any way, because they were unsuspecting victims who were fooled into it. He also explained the basic ways they can rid themselves of the cult’s influence. After the lecture, several listeners submitted questions, which Rabbi Hecht duly answered. • Is hypnosis brainwashing or Avodah Zarah? • You (R’ Shea) sent me to COTS, should I keep what I have gotten there or go get deprogrammed? 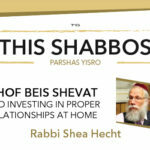 • A bochur attended Rabbi S. Tanya Shiur in Oholei Torah, where he incorporated some therapies and techniques from COTS. The bochur says he’s not affected (he didn’t find it life changing for the better or worse), is there any reason for concern, that corrective action is needed for this bochur? • So many people have been sent to Alcoholics Anonymous and its subsidiary groups. It is derived from the Oxford Group – a Christian cult. Is that different? Why? • What about the educators who are refusing to acknowledge that they were brainwashed and be deprogrammed. Shouldn’t they be fired? I don’t want them teaching my child! • Don’t they take away cellphones in all Yeshivos? i’m not up to date on this issue, but i think it takes a lot of courage to come out and say “i was wrong” for the whole world to see. i don’t know R.Hecht but this takes courage and it’s a good example of a Yid and a Chossid. Admitting one’e mistake is the beginning of the cure. The problem exists when people are caught up with being right (ego) and can’t get past that. They get stuck in their own rut and (worse) attempt to shlep people with them. COTS is bad – we have been warned – we must purge this from our midst. If ch’v some insist on continuing it will be as it was by Yetzias Mitzrayim -there were those that believed and those that stayed behind. Similarly with the eigel. Klipa has been around since the beginning of time – we must use our G-d given power to eradicate this from our midst. Every person who is able to admit he was mistaken is someone to strongly admire as he will be accomplishing both tshuva and encouraging others to follow. If you attended COTS – and want to cleanse yourself try talking to our Balei Tshuva. It’s interesting but from what I see and hear the Balei Tshuva did not become victims of COTS. Talk to them, they can help. They managed what you now need to do. some balei teshuva were affected as well…i think this has reached all types unfortunately but Baruch Hashem some are seeing the light and coming back. IYH they should all!! as soon as one is willing to listen what can be wrong, they are already on the right track but this was such a powerful program that its not easy for many to come around with an open mind. the Rebbe is with us and will help his chassidim as always IYH! Is anyone else experiencing trouble viewing the second video? I almost thought this is whole issue is behind us just to see this post. I only started watching the second video as the content of your post intrigued me at what some questions and answers might be. I just managed to watch the first “answer” and if it is any indication of the rest, it is a total waste of time! In it Rabbi Hecht says (and I am paraphrasing) that if “you check out what Buddhism says, you will find many similarities to COTS”. How is this any proof that COTS is A.Z. is beyond (or should I say beneath) me. The fact that the ideas are (or might be) similar is no proof (for any intelligent person) that the ideas are derived from A.Z.. Since when does Correlation imply causation? If we are to accept that just because similar ideas exist in Buddhism and in COTS, that COTS is in any way derived from A.Z., then (Chas VeSholom) the same might be said about Chassidus, Kaballah, etc. Please don’t insult our intelligence by suggesting such responses, let’s keep the discussion at a respectable and intelligent level. if it is just doubtful then we leave it out! I can’t understand the need to defend a place that encourages people to yell, scream, confess, and end up with a huge feeling of entitlement? this is alone is the opposite of Torah. I suspect you are either an investor, a friend or relative of an investor, or a groupie. Otherwise I fail to see the need for anyone to defend this in any way. I only got what Rabbi Hecht was saying after LISTENING to his total presentation. Its a shame they post option of listening to just Q & A. It takes away from the message. The Q & A are just that answers to questions. good luck Reb Shea for finding even one single Rov Moreh Horaah to agree with the claim of A”Z or Avizrayhu! Claims made by a self titled expert, are just that “claims” from an unsubstatiated source with zero certification and a book!